Learning by the book gives you the knowledge you need to move forward in your profession, but training courses actually get you into the thick of the action. When you go through practical dental assistant training courses, you’ll need to experience live patient clinics to become the best dental assistant you can be. Hands-on dental training is essential when learning to be a dental assistant, and these are the key reasons why. Perhaps the most obvious benefit to hands-on training is the opportunity to practice the skills repeatedly before you have to do it in the real world. When you’re training at a dental school, you’ll learn all about the technical parts of a procedure and then be able to actually apply the theories in live clinic training. 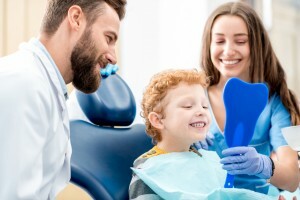 Once you’re at a dental practice, you’ll feel much more confident having had hands-on training than if you were going through the motions for the first time. Training tools like live patient clinics can be extremely useful as they can be recorded and watched back later. Often when you’re in the moment, it can be difficult to truly analyze your movements and procedure. With the option to look back at what you did during the training, you’ll be able to see yourself from an outsider’s perspective. This will give you the valuable opportunity to improve and for your peers to offer any feedback they have. Researchers have known for years that people learn in a wide variety of different ways. Some people are auditory and visual learners and learn best in a classroom or by watching someone else do something. Others are kinesthetic learners, who learn best when they can move around and actually perform the activities they’re learning. For these kinesthetic learners, a dental assistant training program that only concentrates on classroom applications can be very frustrating and ultimately ineffective. Hands-on training can get these learners into the action while helping the visual learners by giving them someone else to watch. There are approximately 270 CODA-accredited dental assisting programs in the United States, but you’ll know the best ones by whether or not they offer ample amounts of opportunities for hands-on training. Choose the dental school Mesa AZ trusts, and you’ll be on your way to live patient clinics and hands-on training in no time.